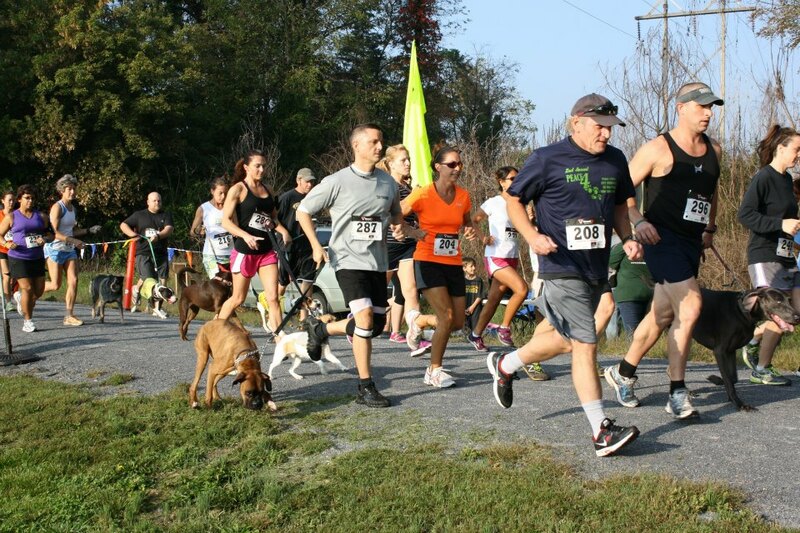 Make sure your upcoming plans include the 3rd annual Peace 4 Paws 5K Run, Walk and 1 Mile Fun Run to benefit Better Days Animal League. 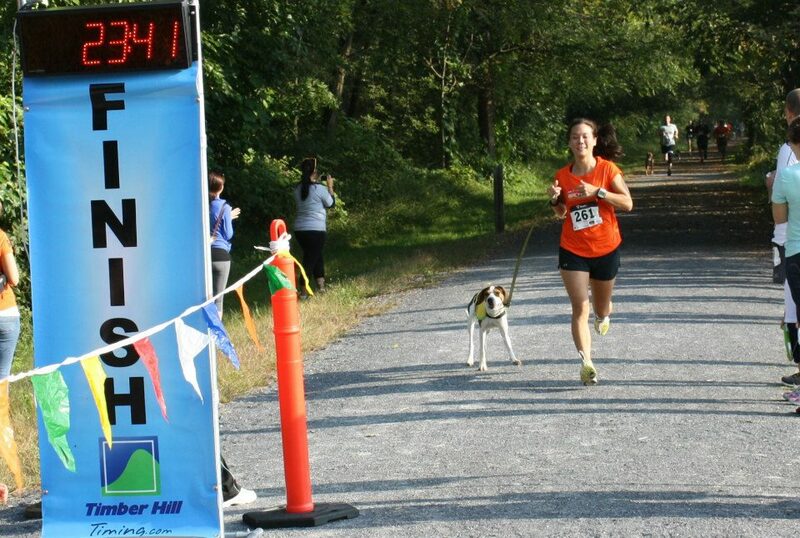 The 5K run is part of the Cumberland Valley Race Series. 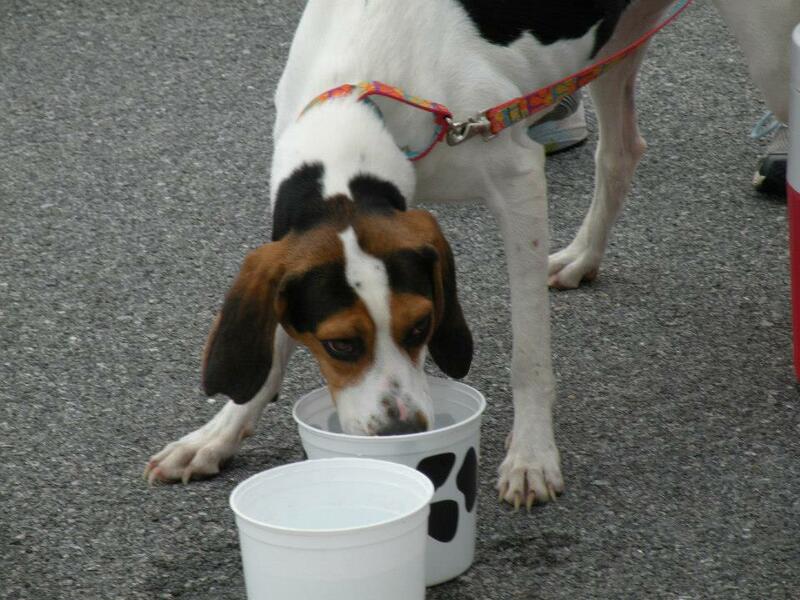 Race date is 9/21/13 and all events are pet-friendly. 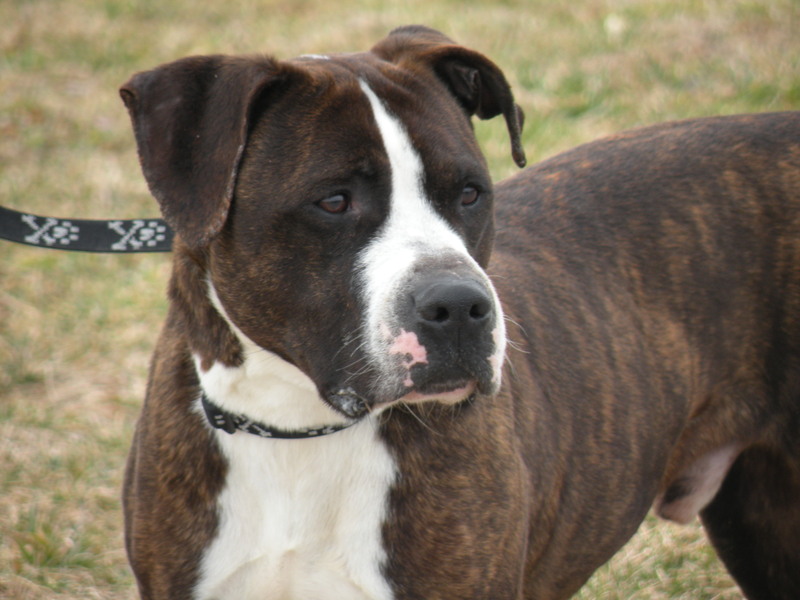 Adoptable dogs will also be participating. 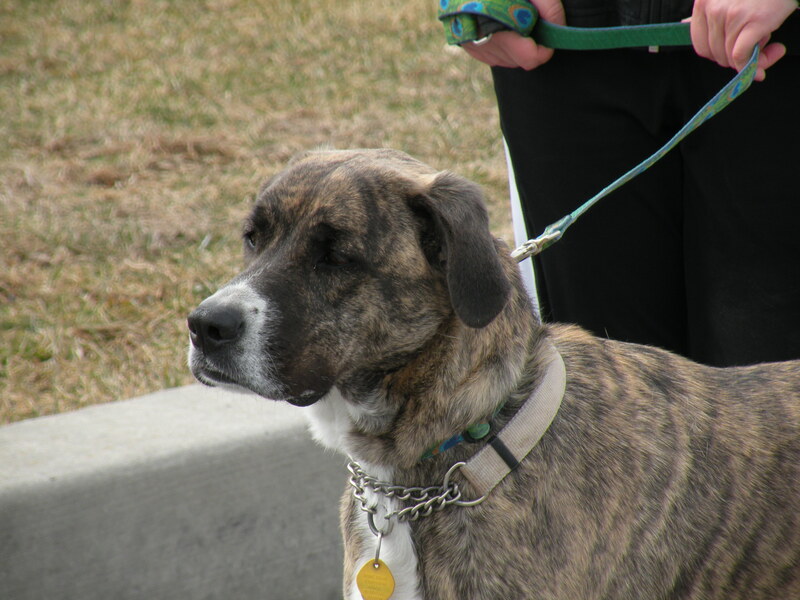 Last year’s overall female runner and overall female/dog runner was a Miles and Mutts runner and adoptable (and still adoptable) dog, Athena! Events for the whole family between the run, walk and 1 mile fun run. Let’s make this our best year yet and help the animals at Better Days Animal League. 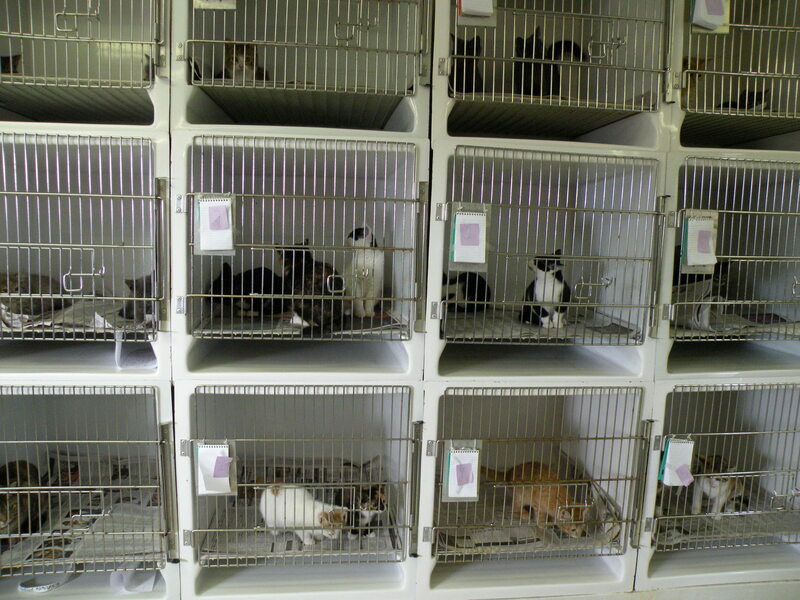 Consider fund-raising for the event by asking for sponsors to help the animals even more. Register online at Cumberland Valley Race Series or mail-in the attached entry form. 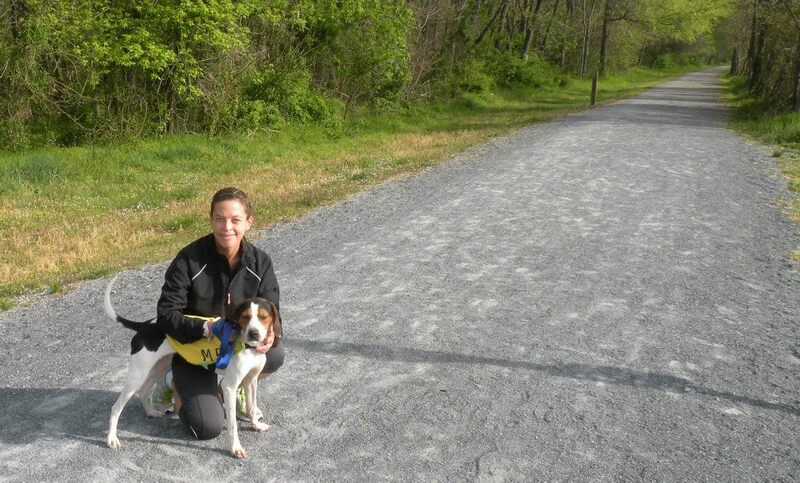 April 14th, 2012 – one runner, one dog and a crushed limestone trail that stretches for 9 miles. 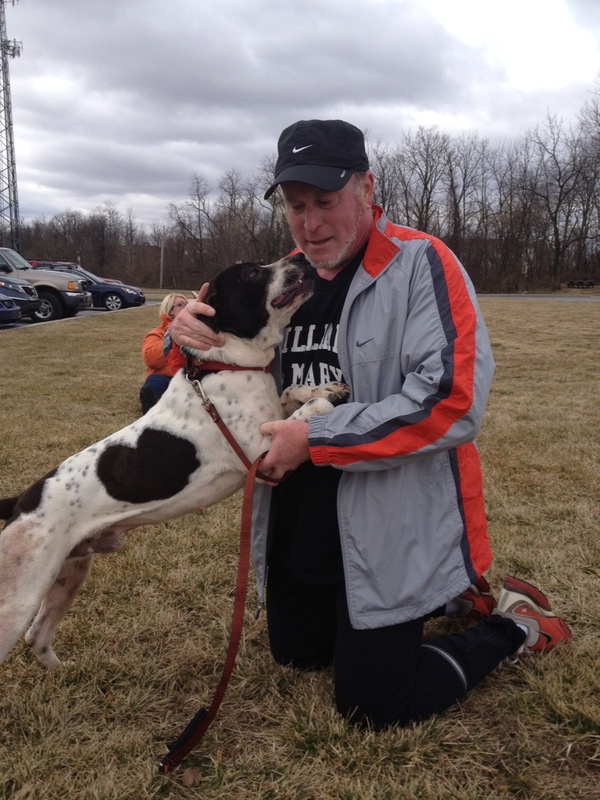 36 adoptable mutts, 1096 miles and 32 runners later, Miles and Mutts is one year old. 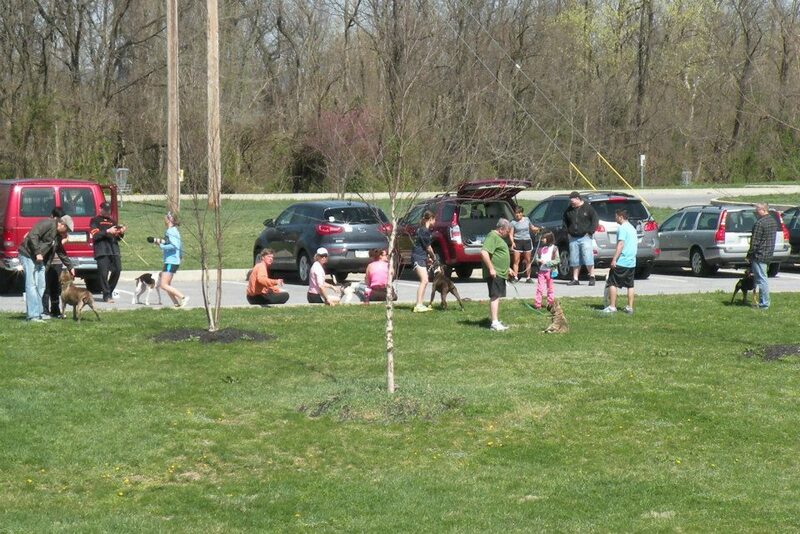 Our April 14, 2013 group won’t fit in a single picture. It’s been a year, can’t wait to see what the next year brings for Miles and Mutts. A sincere thank you to everyone who has helped coordinate dogs, transport dogs, run with dogs and help this idea get off the ground. It would still be one runner and one dog if it weren’t for you! A few years ago, I went skydiving. It was something to cross off the bucket list. I don’t remember much about the skydiving itself but I walked away with a lasting memory. I was amazed and shocked by this sub-culture of people completely and totally immersed in their sport. Individuals who were dedicated and passionate about skydiving. It was something I never even thought about but my eyes were opened to it. This weekend, while driving Tucker on a leg of a rescue transport from a boarding facility in North Carolina to a new foster home in Pittsburgh, a similar thought occurred to me. While the world of animal shelters, rescues, transports and passionate animal lovers trying to save one animal at a time are common knowledge to me, there are still many people out there who do not know of all the endless time, energy and passion individuals, groups and networks put forth on a daily basis to help one animal at a time. Two weeks ago, a women involved with a rescue who knows my husband through his work forwarded an e-mail to him regarding a transport of two dogs from Echo Dogs Rescue. It just happened that we live close to the one remaining leg that needed filled to get two dogs on their way to new homes, one to Pennsylvania, one to Connecticut. 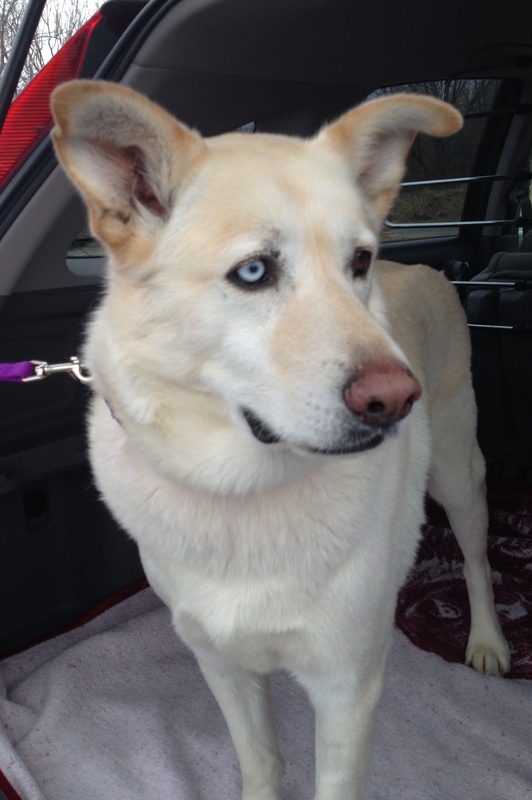 We’ve never heard of this rescue and are not on their list but through networking, my husband and I were quickly both on board for spending a couple of hours in a car to help a dog. Due to winter storm Nemo, the transport was delayed one week. 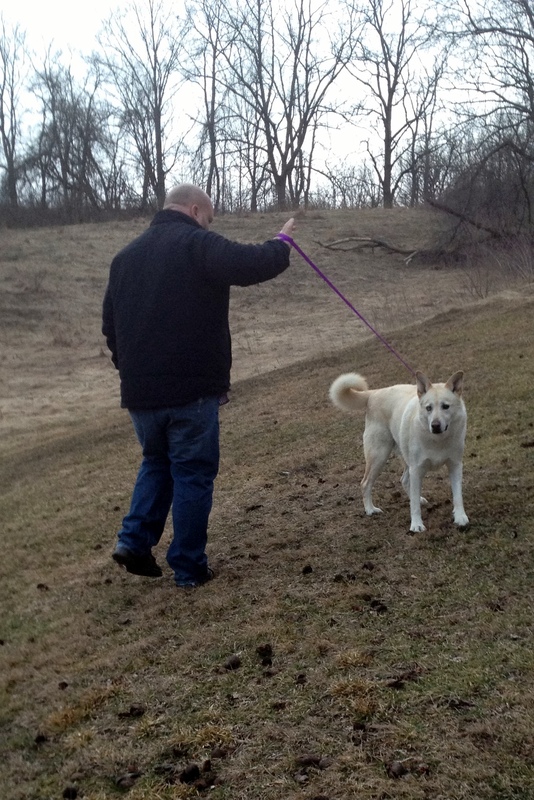 Saturday came and we took Tucker, a love-able, docile big boy, on the sixth leg of his transport to meet his new foster family. Transport is something we have helped with before so this was not a new concept but seeing the amount of time and organization that went into this particular transport is something pretty remarkable. The logistics and number of people involved to give these two dogs a second chance makes you realize that the world is still full of kind, loving and compassionate people. It is also proof that one person can make a difference. Transports take a lot of effort to coordinate but giving up a few hours of your time to drive a leg takes very little effort. A few hours of driving and car of full kittens from a high kill shelter becomes of wall full of twenty adoptable kittens with a second chance. Sometimes transport can be for a ‘special one’ one too. 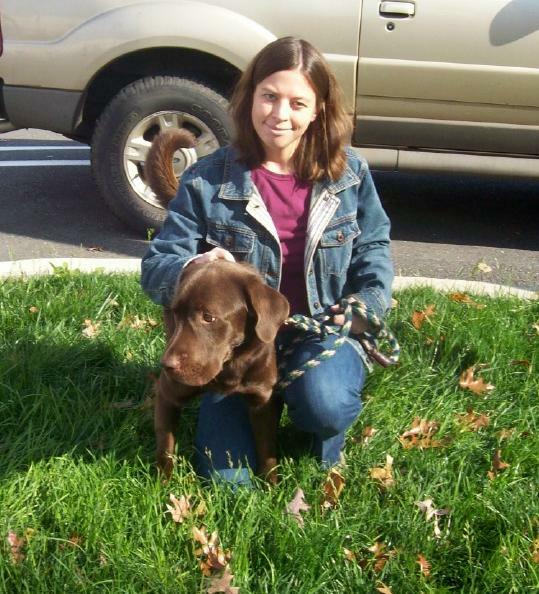 A few years ago, Garrett, a rambunctious chocolate lab mix, was running out of time at a shelter. A dog others overlooked, my sister had a connection with him and felt he was one who needed some extra effort to try and help. All the usual resources seemed exhausted. She sent an e-mail to me. I sent a few e-mails. A little bit of networking, a few more e-mails and phone calls and she was able to find a rescue who was able to take him. I went along for part of the ride to the rescue. Garrett found a loving home just a few days later. 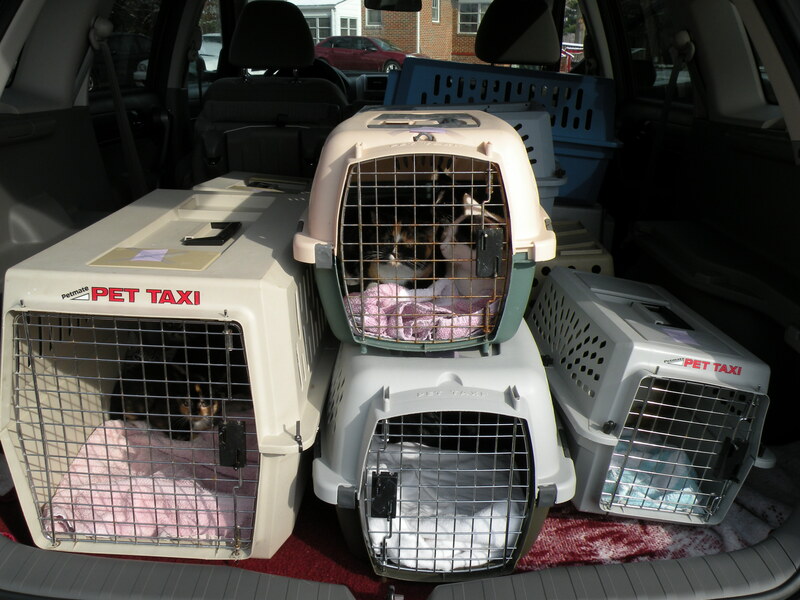 Adopt a pet, foster an animal, help transport. Walk a dog, run with a dog, clean a kennel. Donate time, money or supplies. Send an e-mail, make a phone call. Make an effort, however small or large. It makes a difference. 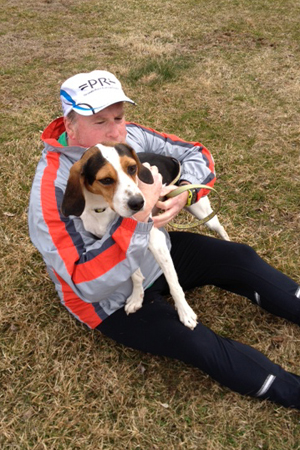 Over the summer, the runners weren’t sure we’d be able to run with the dogs over winter. Would snow be an issue? Would it be too cold? Maybe we’d break for a few months and pick it up in the spring? Well, we just haven’t stopped going and it seems to be working! 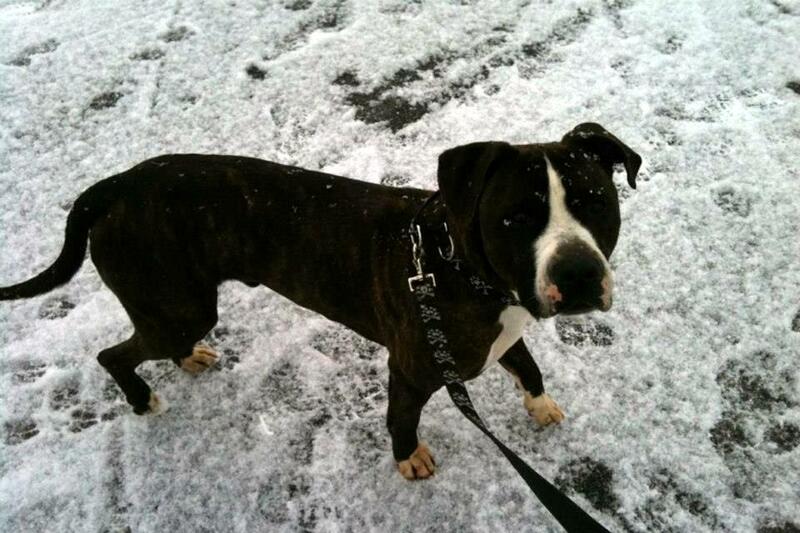 The dogs can’t spend as much time outdoors at the shelter in the winter since it is so cold. But, they can go for a run since we keep them moving and aren’t out for too long. Going for a run continues to be a great motivation for the people too. 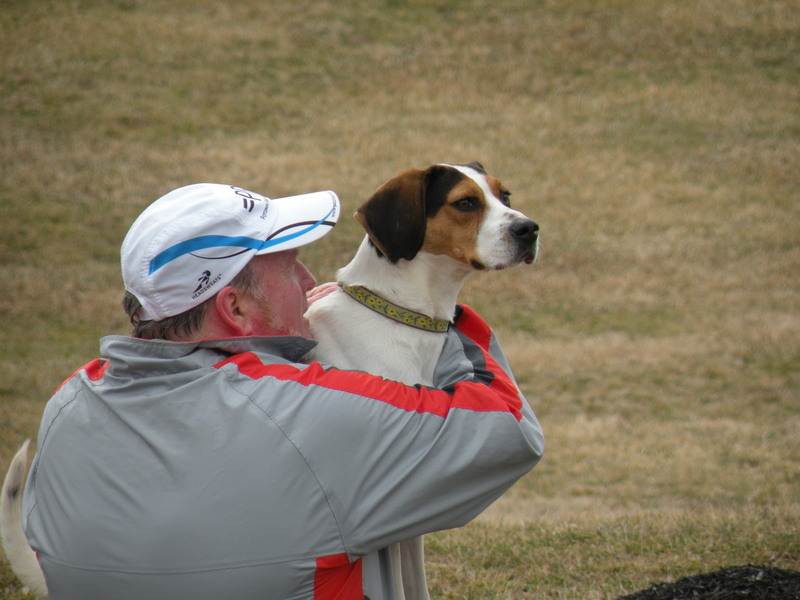 A dog relying us is a great way to get off the couch and outside! 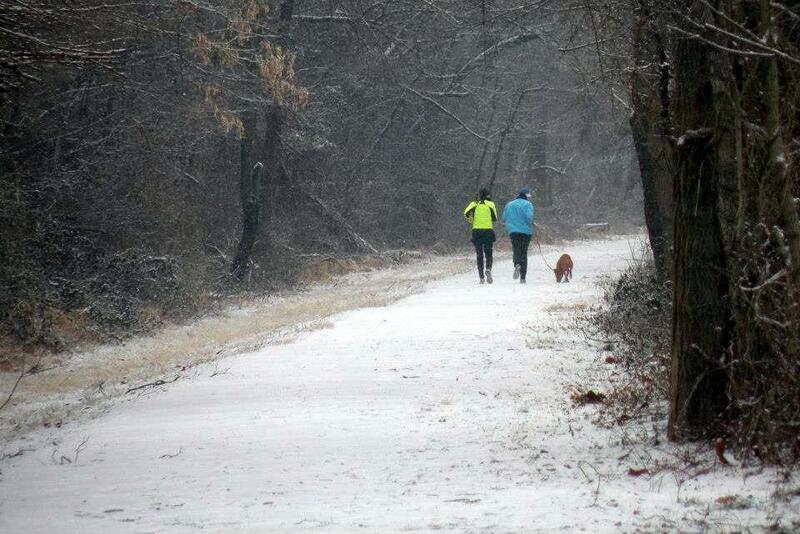 So, looks like Miles and Mutts will be a year-round thing with only occasional cancellations due to weather. If we’re not running, we’re probably spreading the word. 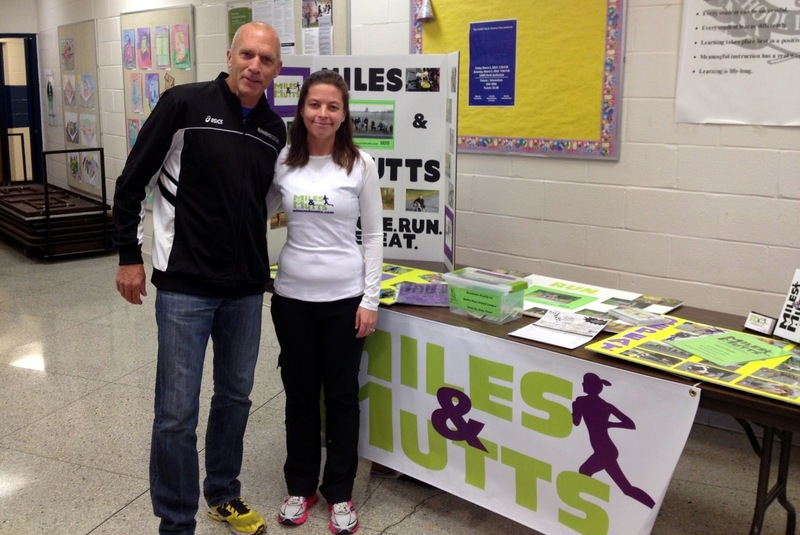 This weekend, Miles and Mutts also had a table at the Chambersburg Road Runners Club Runners Seminar with Bart Yasso. 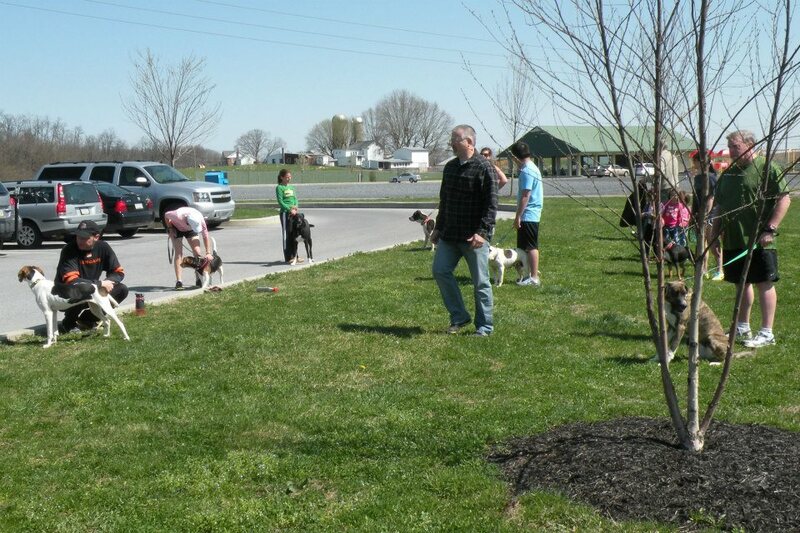 Events continue to be a great way to let people know what we are doing and spread the word about adopting a shelter dog.